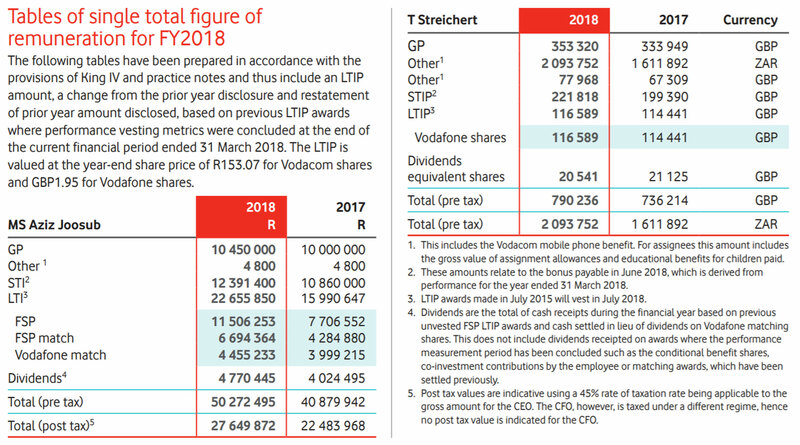 Vodacom Group CEO was paid R50.3-million in pre-tax salary and other benefits, including short- and long-term incentive bonuses, in the 2018 financial year, while chief financial officer Till Streichert scored R16.2-million before tax (based on a rand/pound exchange rate of R17.85 at the time of writing). The JSE-listed telecommunications operator’s 2018 financial report, which was published on Friday, shows that Joosub, who earned a guaranteed pay package of R10.5-million (up from R10-million in 2017), had to pay R22.6-million in taxes, leaving his total post-tax remuneration at R27.6-million. Almost R4.8-million of his remuneration was in the form of dividends. Joosub’s total post-tax remuneration in 2017 was R22.5-million. Streichert, meanwhile, was paid mainly in British pounds, except for a R2.1-million payment, which included the gross value of “assignment allowances and educational benefits for children”. His guaranteed package was £353 000 (R6.3-million at the time of writing). 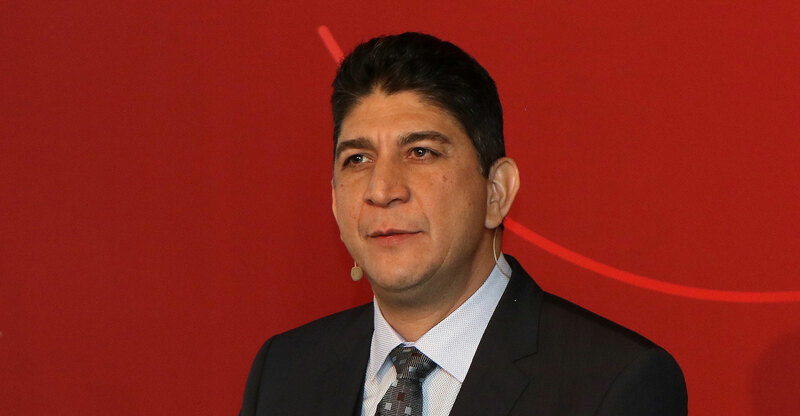 Joosub and Streichert are Vodacom’s only two executive directors. Nonexecutive chairman Jabu Moleketi received total remuneration of R2.1-million for his services for a portion of the year — he took on the role of chairing the group board from Peter Moyo, who resigned on 18 July 2017.